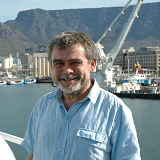 Professor Alex Rogers (Oxford University) describes a natural realm unknown even to many scientists: the deep ocean. He conveys the great excitement which accompanied research showing that, contrary to popular belief, the coldest, darkest depths of the oceans actually teem with undiscovered species. The abundance of life is captured in Professor Rogers' own photographs, as is his enthusiasm for this fascinating yet little-known field. Watch the 2009 TEDTalk “Sylvia Earle’s TED Prize wish to protect our oceans”. The acclaimed oceanographer calls our oceans “the blue heart of the planet” and poses this provocative question: “How much of your heart do you want to protect?” Earle explains why oceans are vital to life on Earth and how much we still have to learn about them—in particular, the ocean’s deepest zones like the Mariana Trench, into which only three humans have travelled. She makes the case for creating oceanic ‘hope spots’ – sanctuaries set aside as forever-protected no-disturb zones. Watch the 2010 TEDTalk “Mike deGruy: Hooked by an octopus”. Underwater filmmaker deGruy spent more than three decades exploring and documenting mysteries in the darkest of ocean depths. In this TEDTalk, he explains how his early encounters with cephalopods ultimately led him to investigate underwater mountain ranges, active volcanoes, hydrothermal vents and the astonishing marine life that lives at the inhospitable bottom of our seas — an entire ecosystem that wasn’t discovered until the 1970s. Watch a classic TEDTalk from 1998, “David Gallo on life in the deep oceans”. Woods Hole scientist David Gallo opens a port hole to one of the strangest ecosystems on earth: the ocean’s hydrothermal vent communities. From single-cell bacteria to two-meter-long tubeworms, Gallo provides a glimpse of the amazing array of animals that thrive in this extremely hot, sulphidic habitat, at 4,000 psi pressure, and in pitch black darkness. Watch the 2008 TEDTalk “Robert Ballard on exploring the oceans”. Legendary ocean explorer Robert Ballard wants to know why we’re so obsessed with outer space when we’ve barely scratched the surface of understanding sci-fi-like landscapes underwater, on our own planet. Ballard recounts some of his deep-sea expeditions and argues that it’s in our best interest to “enrich the economy” by tapping the ocean’s treasures — including valuable resources like massive, commercial-grade heavy-metal deposits. Watch the 2005 TEDTalk “Craig Venter on DNA and the sea”. Genomics guru Craig Venter is leading a massive expedition to sample and sequence the DNA of ocean microbes, which he believes may hold the key to solving some of the world’s most pressing environmental problems. For example: Methanococcus jannaschii, a single-celled deep-sea organism that captures all its carbon from the environment, suggesting that humans could one day convert atmospheric carbon into biopolymers or other products. 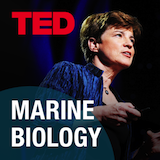 Watch the 2010 TEDTalk “John Delaney: Wiring an interactive ocean”. As part of NSF’s Ocean Observatories Initiative, oceanographer John Delaney is developing a next-generation array of instruments and infrastructure to study the deep ocean. Delaney hopes that the data generated through this massive, worldwide collaboration will revolutionize how we perceive and manage our natural environment.